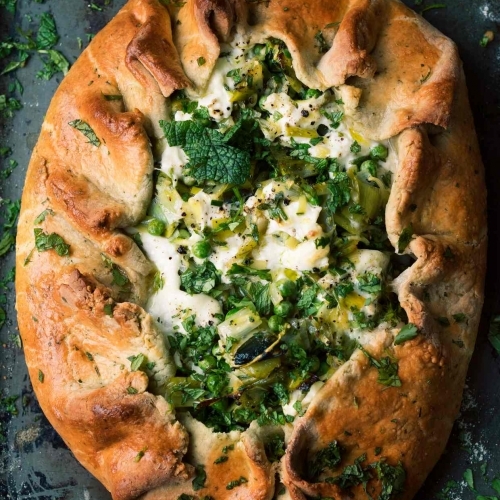 Peas, slow cooked leeks and mozzarella in a herb pastry crust. 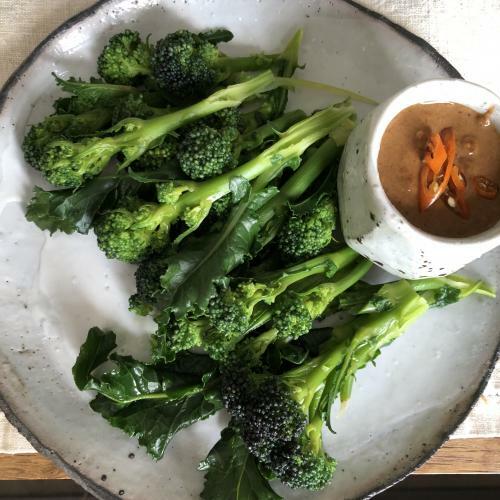 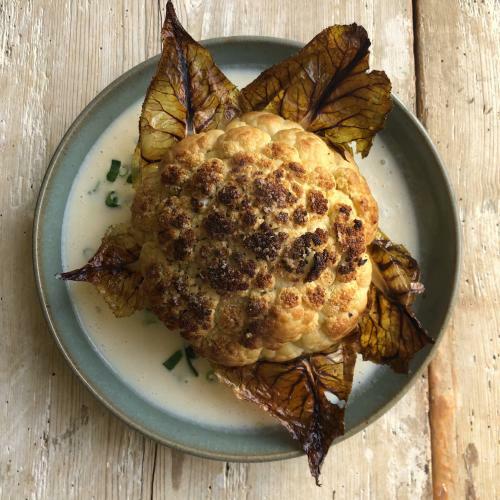 Cauliflower, roasted, and served with a creamy onion sauce. 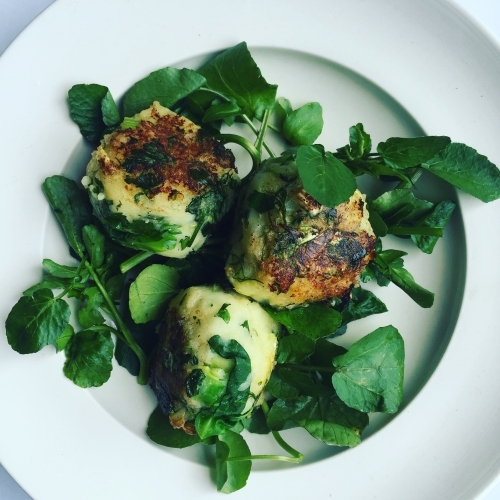 A bubble and squeak for spring, with watercress and herbs. 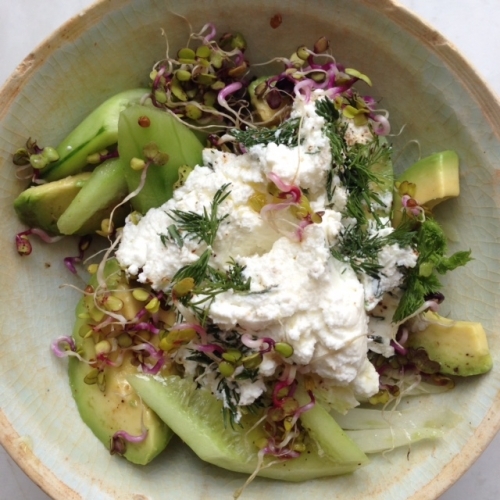 A fresh spring salad of spouted seeds, cucumber, avocado and ricotta. 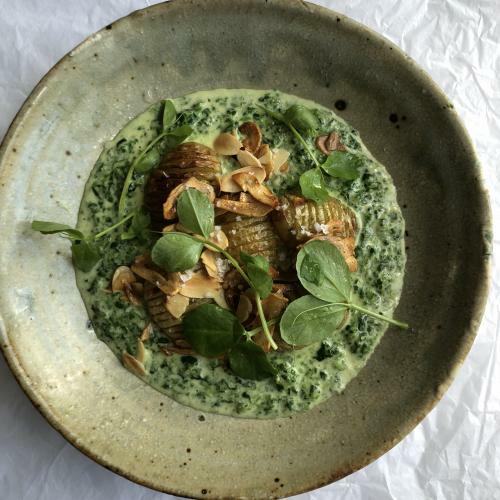 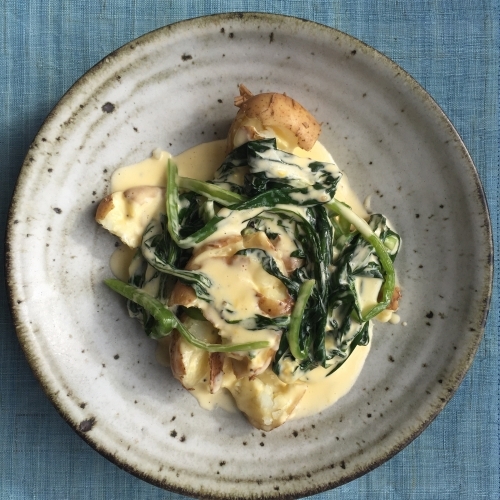 New potatoes cooked with wild garlic leaves and double cream. 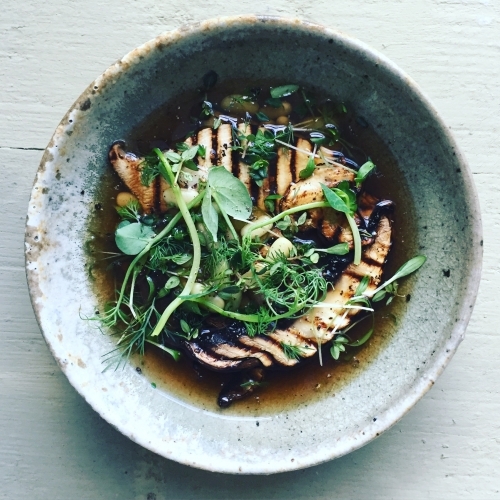 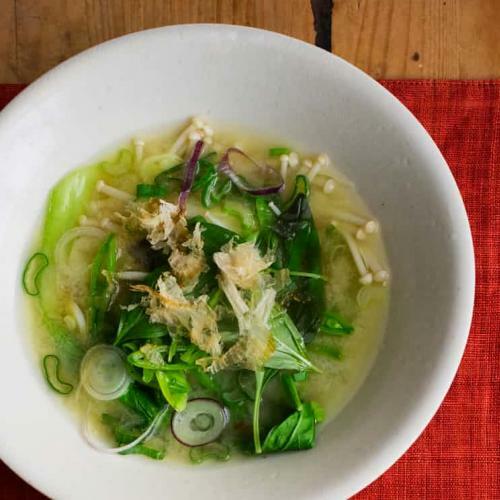 Porcini in a light vegetable broth with pea shoots and herbs. 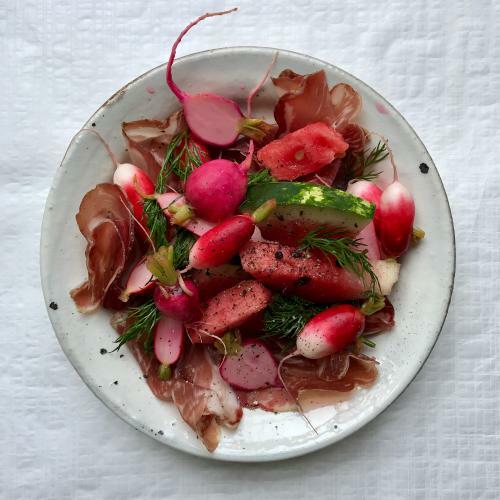 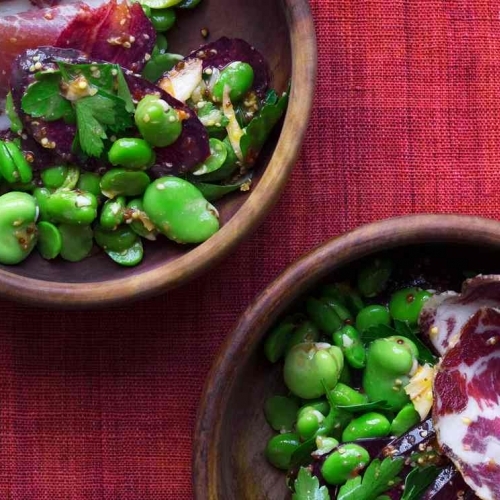 A salad of broad beans with a harissa dressing to accompany slices of coppa. 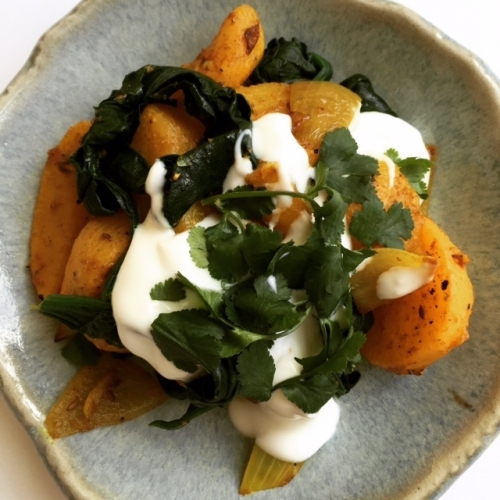 Young turnips with cumin, turmeric, garam masala and yoghurt. 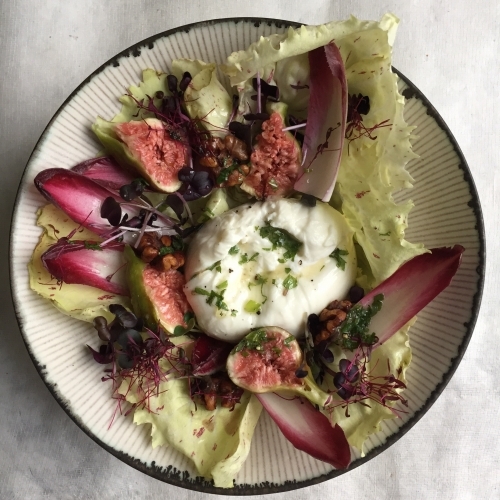 Burrata, Walnut oil, Walnuts, Figs, Spring Leaves, Sprouting seeds. 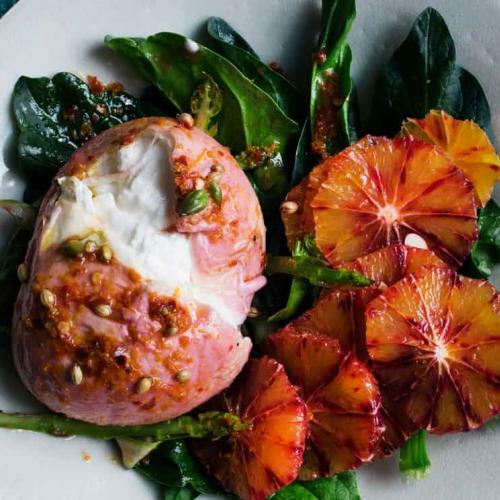 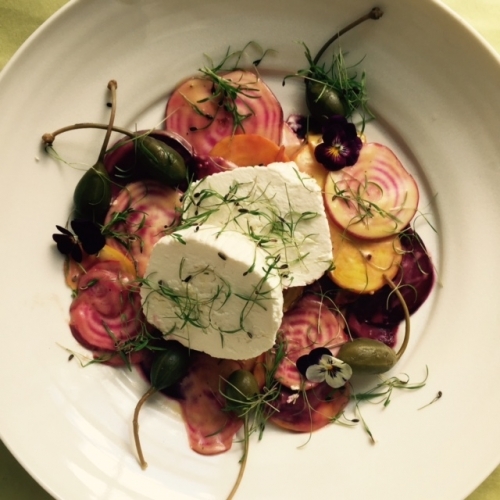 A crisp salad of raw, marinated beetroot and goat's cheese. 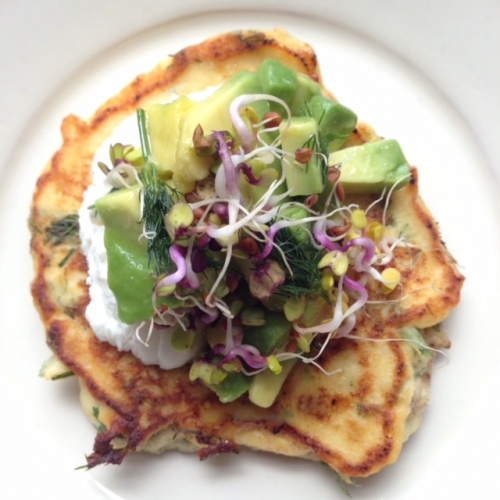 Soft herb pancakes with ricotta and sprouted seeds. 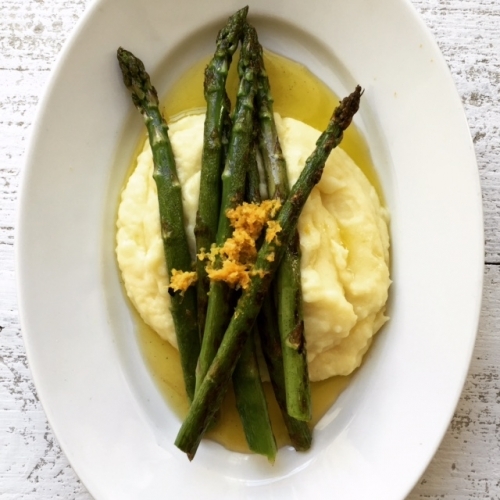 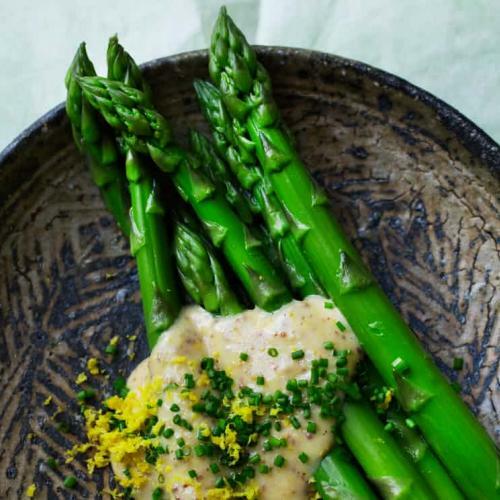 A soft lemon scented potato mash with grilled asparagus. 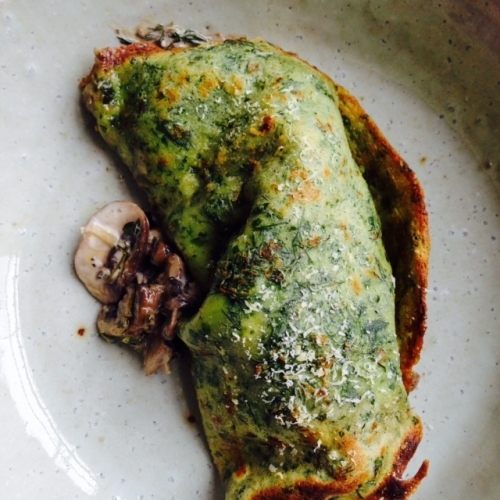 Herb flecked pancakes stuffed with mushrooms and creme fraiche. 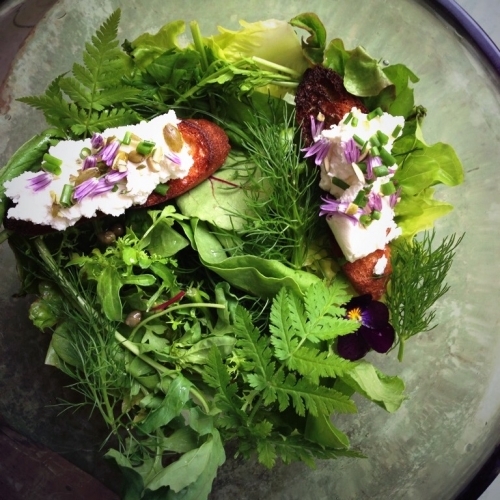 Early spring leaves, goat's curd toasts, simply dressed. 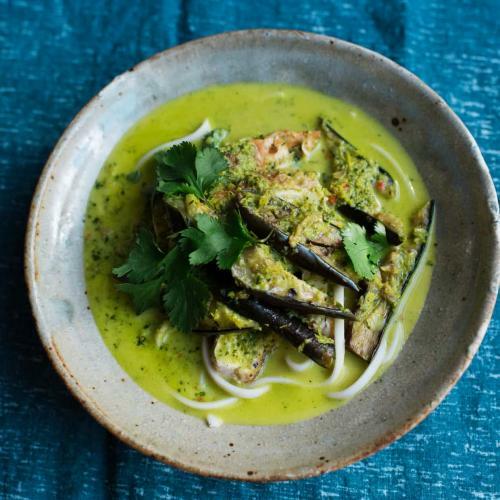 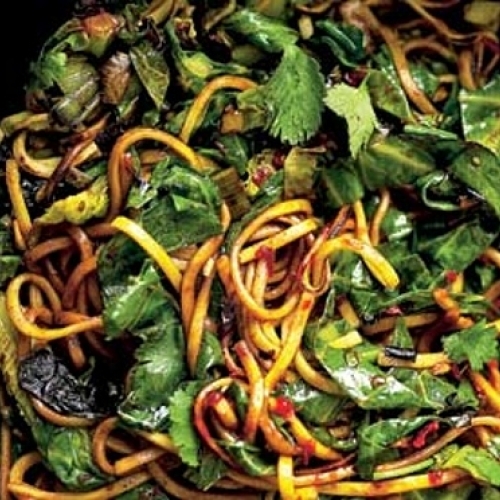 Fresh egg noodles, spring greens and chilli sauce. 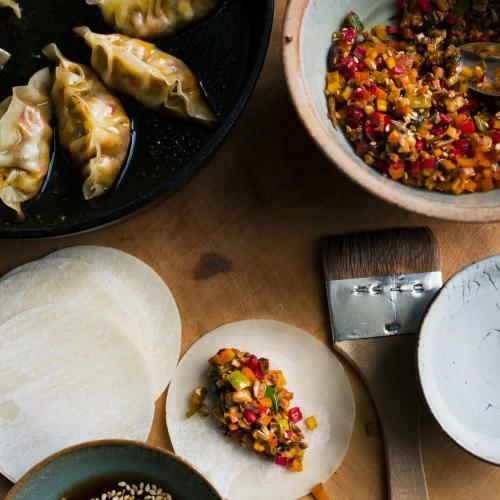 A good, basic, mid-week stir fry. 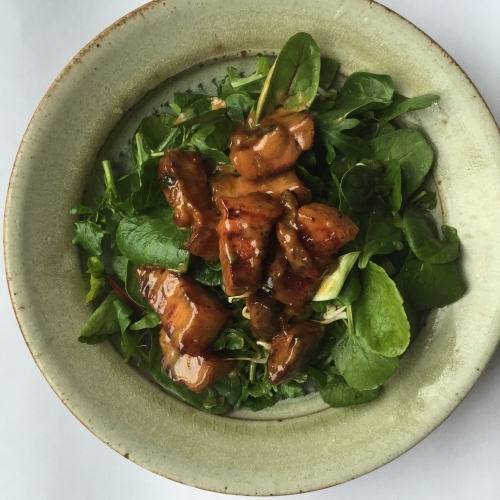 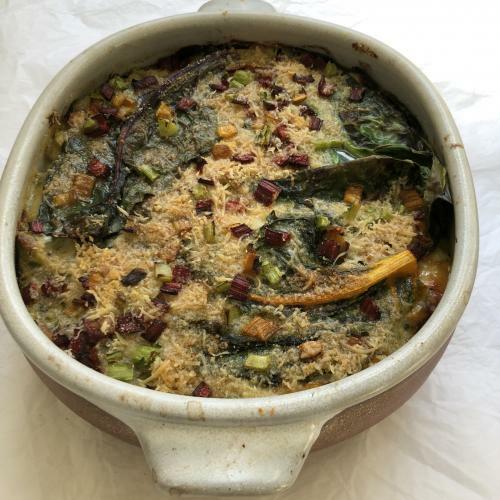 A salad of crisp, spring leaves with hot pancetta and cream. 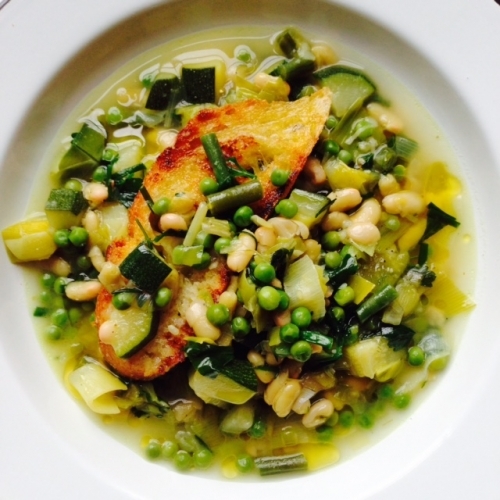 A main course soup with Spring vegetables and ciabatta croutes. 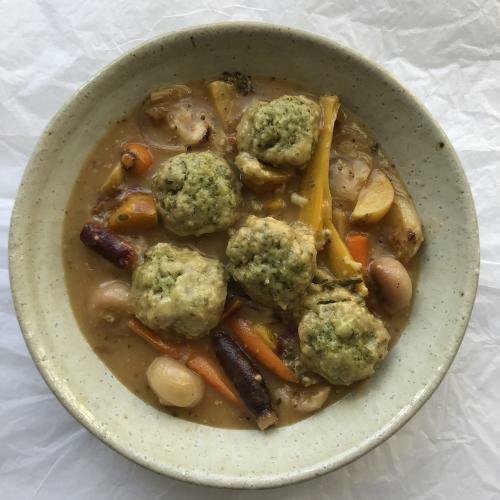 Carrots, beetroot and parsnip casserole, parsley dumplings for a cold spring day. 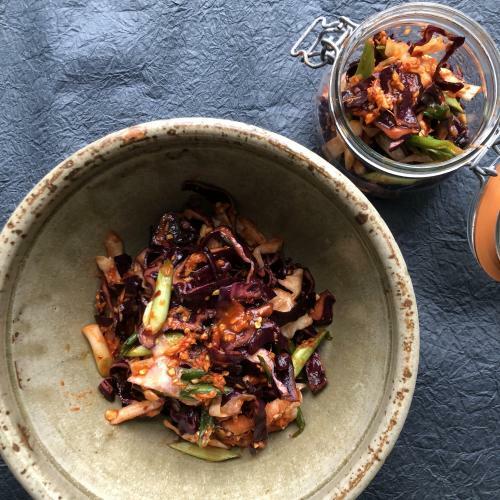 A searingly hot cabbage pickle in the style of Korean kimchee.